All aboard! It’s time for Season 2 of Discovery Canada’s Mighty Trains with Teddy Wilson! My first memory of travelling on a train was a trip I took to Toronto with my mother when I was three years old to visit with her family. Since then I’ve had several chances to ride the rails between Ottawa, Quebec City, Montreal, and Toronto. I’ve loved taking the train on each of these trips, however, none has ever held the excitement of Teddy Wilson’s great adventures all aboard some of the world’s most awe-inspiring trains. I recently had the opportunity to ask Teddy, the host of Discovery Canada’s Mighty Trains, a few questions about himself, his epic train journeys, and what’s in store for viewers during Season 2. 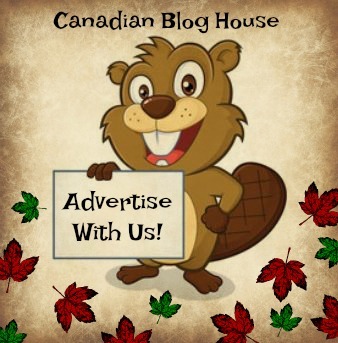 Teddy also answers a Canadian Blog House reader’s question – and it’s a good one! For readers that don’t know you yet, tell us a little bit about Teddy Wilson, your television career, and the man behind Mighty Trains. Heck yeah!! 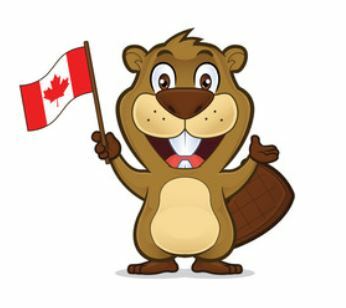 I grew up in Ottawa, moved to Toronto 17 yrs ago to pursue a career as a political advisor (which I did for a handful of years ….hey, we all experiment in our 20s!). I switched over to TV production in my mid/late 20s, worked basically every behind the scenes gig there is – driver, production assistant, audience coordinator, production coordinator, etc – before landing as a talent booker (and later a senior producer) for MTV Canada. After several fun years at MTV Canada, I was hired as a field correspondent & producer for the Space Channel (I’m a VERY big fan of science-fiction, horror, and comic books), later getting bumped up to the host of Space’s nightly genre talk-show, InnerSpace. ‘Twas a great gig, which I did for over 9 yrs until a few months ago. But my true dream job came recently when I was asked to host Mighty Trains. I LOVE to travel and I love trains, so I feel beyond lucky to be able to travel the world highlighting the most incredible rail journeys on earth. Mighty Trains, Season 2, is all set to hit the tracks Sundays at 7 p.m. ET / 4 p.m. PT beginning Oct. 14 on Discovery and the Discovery GO app. 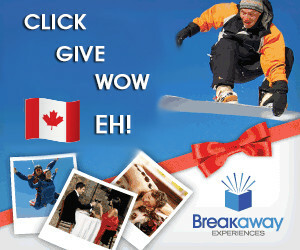 Can you give us a little glimpse into some of the exciting travels you are going to take us on this season? We kick off the season in our own Canadian backyard, into the heart of the Rockies on the world-famous Rocky Mountaineer. Breath-taking scenery, double-decker train cars with massive wraparound panorama windows (I’ve ridden trains all over the world and never seen anything like them), and wonderful staff – this train has it all. I was particularly blown away by the engineering & construction that went into building these rail lines through some of the most mountainous & difficult terrain on earth. For our second episode, we travel to South America to cross Ecuador on ‘Tren Crucero’ – also known as ‘the train to the clouds’! Our 4-day adventure starts at the port city of Guayaquil near the Pacific Ocean & ascends about 3000 meters to Quito (the second highest-elevation national capital on earth). Tourists experience the gorgeous train interior, gourmet food, and an awesome open-air viewing platform at the back of the train. Tren Crucero makes steep ascents up the Andes Mountains, including a dizzying climb up the famous “Devil’s Nose” – a giant almost perpendicular mountain wall. This is easily one of my favourite journeys in the world. Episode 3 of our second season takes viewers on a spectacular 8-day train trip through India, from Delhi in the north across a large swath of the country all the way to Mumbai, on the Maharajas Express. Voted the world’s #1 luxury train, this massive 5-star hotel on rails is almost a kilometre long and emphasizes the history of Maharajas in India – treating its passengers like Indian royalty. It really does make you feel like you’ve been transported to a different time. We also highlight the Maharajas Express’ off-board excursions, including trips to local markets, a wildlife reserve, and the Karni Mata Temple – also known as “the rat temple!” (give it a Google). 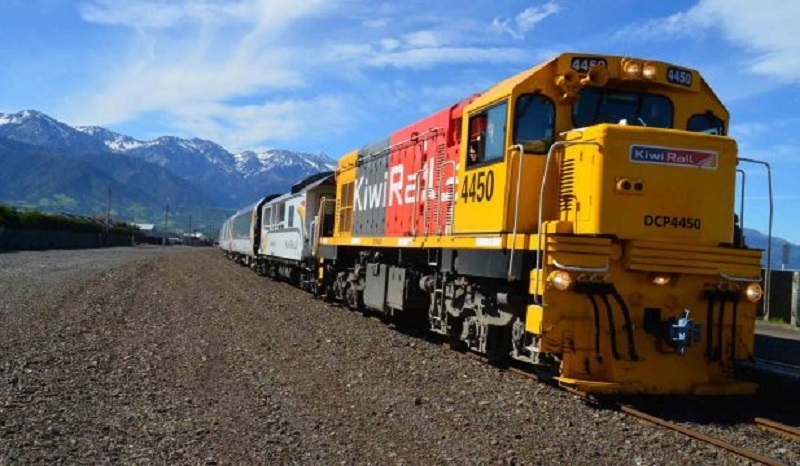 And for our fourth, fifth, and sixth episodes of the season, we ride the state-of-the-art AVE 103 high-speed train in Spain, journey across New Zealand’s north AND south islands about Kiwi Rail’s most iconic trips, and take viewers to the forests of Sweden aboard the massive timber-hauling freight trains of Hector Rail. What can viewers expect to see all aboard on Mighty Trains? Do you take us “behind-the-scenes” on some of these great trains? Do you interview the people responsible for keeping these great trains running on the tracks? You bet we do!! On Mighty Trains, we like to give a 360-degree view of what it takes to keep these incredible trains running. From the driver-engineers up in the locomotives and the rest of the fantastic onboard staff, to the eagle-eyed experts at central train control, to the mechanics who service these giant & complex machines, to the amazing workers servicing the tracks, we shine a light on the everyday heroes who make these iconic journeys possible. I’ve met so many talented & dedicated people all over the world who take great pride in their work and share a passion for trains & rail travel. Great question, Joy! For longer train journeys I’d recommend: The Canadian (4 nights, Vancouver to Toronto); the aforementioned Maharajas Express (8 nights, Delhi to Mumbai) and Tren Crucero (3 nights, Guayaquil to Quito); and The Ghan in Australia (3 nights, Adelaide to Darwin). For one to two day trips: Switzerland’s Glacier Express is one of only 3 train routes designated a UNESCO World Heritage site for good reason (one day, Zermatt to St Moritz); Kiwi Rail in New Zealand runs the spectacular single-day Northern Explorer (Auckland to Wellington) and Tranz Alpine (Christchurch to Greymouth) routes, both of which we cover in season 2 of Mighty Trains as we criss-cross both islands of this spectacular country; and you can’t beat Canada’s own Rocky Mountaineer! (2-day trips, including Vancouver to Banff and Jasper to Vancouver, as you’ll see in Mighty Trains season 2! And if you like your train trips shorter and very VERY fast, on the highspeed rail front you can’t do better than Japan’s Shinkansen, aka ‘bullet train’, on it’s original Tokaido Line between Toyko and Osaka; or Spain’s game-changing AVE103 high-speed line connecting Madrid & Barcelona! Were you an avid railway enthusiast/railway buff before coming aboard Mighty Trains or, has being the host of this show turned you into one? I’ve always been a huge fan of trains, and riding the rails has been my favourite way to travel ever since I took my first train trip at the age of 5. 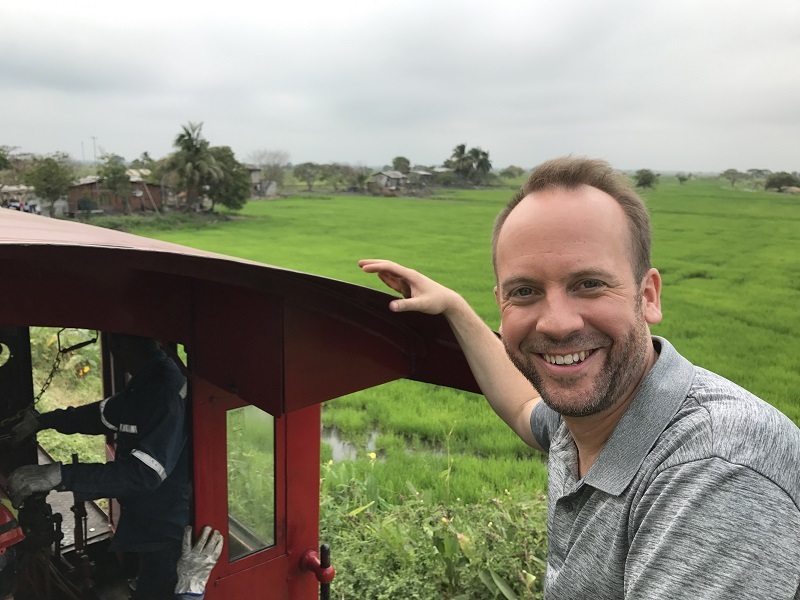 Obviously, I love my gig hosting Mighty Trains (I pinch myself daily….which does get kinda painful) but I often even plan my personal vacations around taking a train between cities or countries. And when I trek from my current home-town of Toronto to my childhood home-town of Ottawa several times a year I never opt to fly (despite the presence of a major discount airline that now takes off from Toronto island) because I enjoy the train-ride so much. I don’t imagine I could ever get tired of looking out a train window as the landscape rolls by, it’s a kind of heaven to me. Also, though I’m definitely a shorter fella (5’6” on my tallest day) and thus even on most flights legroom isn’t really an issue, I do LOVE the fact that an economy seat on most trains gives you about the same amount of room to stretch out as a business/premium economy seat on a plane. Not bad at all! One of my brother-in-law’s best friends, Gerald, is a railway buff. So much so, that he will literally go out of his way on his travels just to be able to ride the train. A few years ago, he coerced my brother-in-law into taking an overnight train to New York City with him – instead of simply taking a quick direct flight to NYC. He also hired a bus to transport his wedding guests to the site of a majestic locomotive – just to get some wedding photos taken in front of this prized beauty. Do you feature any passionate railway buffs like Gerald on Mighty Trains? Have they shared any similar stories with you? Absolutely. On Mighty Trains, we make a point of connecting and chatting with some of the folks who come from all over the world to ride these iconic trains. For so many people I’ve met the train is much less a way to get from A to B and much more a destination in and of itself. I loved talking with a young Australian couple – huge fans of JRR Tolkein – we encountered on New Zealand’s Kiwi Rail. They were VERY excited to visit ‘Hobbiton’, the filming location of the Lord of the Rings and Hobbit films, but their excitement about being on the Northern Explorer train was just as palpable. Back in our first season of the show, we met a group of awesome backpackers from Thailand who had planned their entire European adventure around a ride on Switzerland’s famous Glacier Express – one of only 3 trains on earth whose route is designated a UNESCO World Heritage Site! In the season 2 premiere of Mighty Trains on October 14th, you’ll meet a wonderful couple who live right beside the Rocky Mountaineer line and always make a point of coming out of their house to wave at the train as it goes by. During our trip, they travel onboard the train with us. I won’t spoil here what happens when we pass their house – you’ve gotta tune in for yourself to find out….see what I did there?! 😉 – but suffice it to say it’s one of the most touching moments from any episode we’ve ever filmed. I could go on with many more examples, and I’ve been consistently blown away & moved by the way trains connect people and communities all over our strange & beautiful little planet. A friend of mine, and fellow travel blogger, rode the Rocky Mountaineer this summer. What did you love most about travelling the rails on this magnificent train? The views! The food! The staff! The fellow passengers! ….and did I mention THE VIEWS??! Can’t recommend this train highly enough, and a big shout-out to the truly fantastic Rocky Mountaineer staff who consistently go above & beyond to make this the trip of a lifetime for the folks on board. Mission accomplished! Sometimes life takes us down some very unexpected paths. For me, this includes getting the opportunity to interview celebrities and personalities like yourself, for the blog. I love doing interviews. You are someone who has had the opportunity to interview many interesting people. Who are some of the most interesting people you’ve interviewed, and why? Wow. First off, I love that your definitely of ‘celebrity’ is so wildly loose that includes the likes of me! Thank you for that – ego BOOSTED!! ;). I absolutely share your love of interviewing people – and your passion for it is evident in the thoughtful questions you’ve asked me here. To say I’ve been lucky over the years to interview some fascinating people, including some of my heroes, would be a massive understatement. Here are a few of my favorites: Sir Ben Kingsley and Sir Anthony Hopkins, who I’d actually consider the 2 greatest living male actors; Jennifer Lawrence, who consistently blows my mind with her incredible performances; singer/actor/speaker/prolific-traveler Henry Rollins, I’m a massive fan of his work with Black Flag, Rollins Band, and his spoken word performances (and I’m a lifelong fan of punk rock & heavy metal); Jodie Foster, one of the best actors on earth and a fascinating artist; directors David Cronenberg, Guillermo del Toro, Ron Howard, George Lucas (just a few of the directors I’ve been lucky to interview whose work I love…as you can tell, I’m a HUGE sci-fi and horror nerd! ); Canadian comics-creators Jeff Lemire and Pia Guerra (Pia’s work on the epic Y: The Last Man is some of my favourite graphic novel art of all time, and if you’ve never read any of Jeff’s work please Google his work & dive-in, you’ll be blown away! ); Marvel creator & comics legend Stan Lee (I pinched myself HARD); the cast of Game of Thrones (winter is coming! ); journalist Andersoon Cooper (I was very nervous to interview someone who’s such a great interviewer!) David Tennant, Matt Smith, and Peter Capaldi (3 of the actors who have played the iconic ‘Doctor’ in ‘Doctor Who’, one of my favourite TV series of all time – and I’m stoked for the debut of Jodie Whittaker in the role!). I could go on for many, many pages here. But the above are a few of my personal stand-outs, and all of them were wonderful to chat with and very kind & gracious. In my interviews, I really enjoy learning interesting things about the folks I chat with. Can you share with us a fun fact about Teddy Wilson? Something that very few people may know about you. As mentioned above, I’m a HUGE lifelong fan of hard rock, punk, and heavy metal! I love travel & trains, movies, and comic books, but music is my first love. And as anyone who knows me will tell you (because I guarantee I’ve talked their ear off at some point) I have an obsessive & probably unhealthy knowledge of the history of heavy metal and punk rock, which I constantly stoke & update with a steady stream of articles, album liner-notes, and YouTube videos! I’ve also been a drummer since age 12 and have played and toured with several bands over the years – the most recent was an indie rock band from Toronto called HUDDLE. You can find some of our music online, and our music has been featured in TV shows, a Robert Redford film (surreal!!) and several skateboard & sports videos. Is there any railway voyage left on your bucket list? Tell us about it! Of course the Trans Siberian – the longest passenger train on earth – is definitely on my list. As is the epic ‘Indian Pacific Railway’ in Australia, which we’ll actually be covering on Mighty Trains during our THIRD season of the show (premiere info for season 3 to be announced later!). And Peru’s train line up to Machu Picchu is also a bucket-list rail journey for me. I could go on…..and on…..and on……. Thanks for the great questions, and for your interest in Mighty Trains! 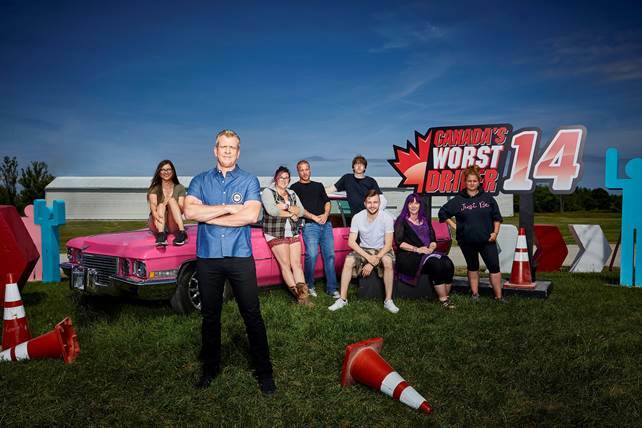 …Season 2 premieres Sun Oct 14th at 7pET on Discovery Canada, and around the world after that! …..sorry, I had to 🙂 . A big thanks to Teddy Wilson for taking time out of his busy schedule to answer my questions – and for such a fun and engaging interview! All aboard! Mighty Trains is pulling out of the station! 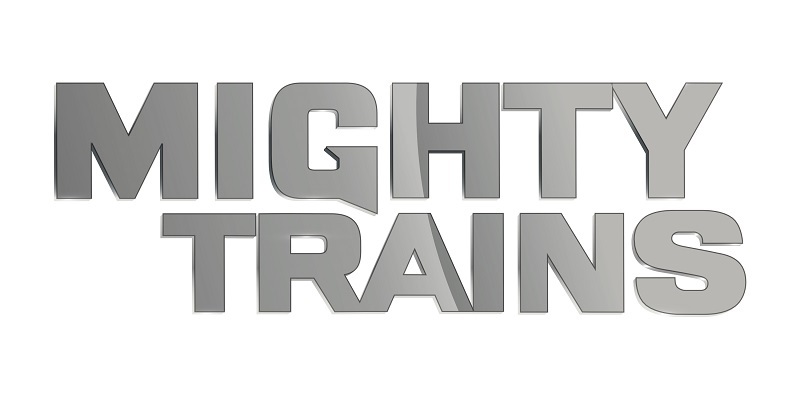 Be sure to catch the first episode of Mighty Trains – Season 2 on Discovery Canada October 14th! fabulous!! I would love to go on the Rocky Mountaineer – so luxurious !